SlimFast became the 21st company to say it will no longer advertise on Laura Ingraham’s show, one day after she returned to Fox News after leaving on vacation during the fallout over a much-criticized tweet about Parkland shooting survivor David Hogg. 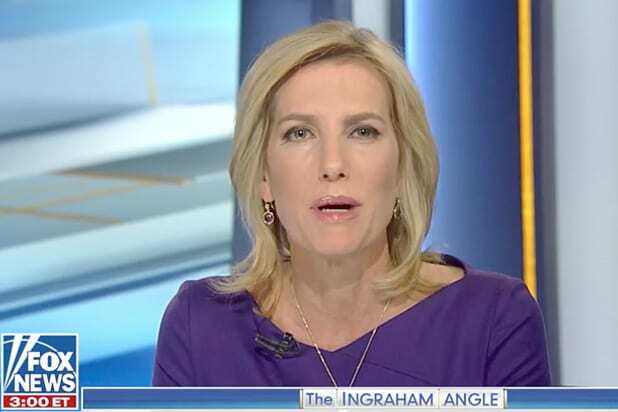 On her first show back, on Monday, Ingraham did not directly address the advertiser boycott campaign that, so far, has cut ad time on “The Ingraham Angle” roughly in half. Ingraham is facing a boycott campaign started by Hogg on March 28, after Ingraham accused Hogg of “whining” over his rejection by several California colleges. Hogg called on people to target Ingraham’s advertisers in response, and Ingraham later apologized on Twitter, saying anyone would be proud of Hogg’s grades. Ingraham didn’t mention the Hogg dispute on her March 29 or March 30 shows, but on March 30, she announced she was taking a week off for what she called an Easter vacation with her family.